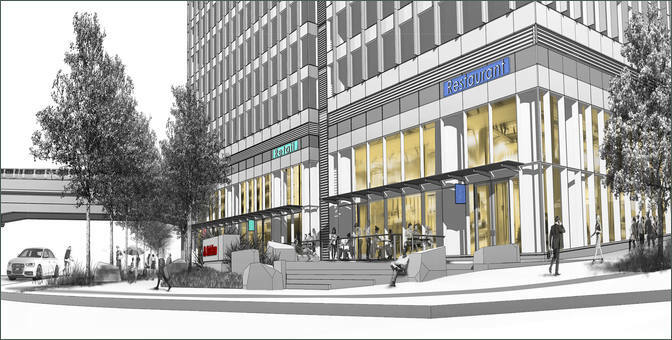 Del Frisco’s Restaurant Group, Inc., the Southlake, Texas owner and operator of the Del Frisco’s Double Eagle Steak House, Sullivan’s Steakhouse, and Del Frisco’s Grille restaurant concepts, announced Friday plans for a Del Frisco's Double Eagle Steakhouse in Atlanta. "For fiscal year 2018, we now expect to open four to six restaurants, consisting of at least two Del Frisco’s Double Eagle Steak Houses and two Del Frisco’s Grilles. We have signed leases for Del Frisco’s Double Eagle Steak Houses in Atlanta, GA and Boston, MA. These restaurants are expected to open in the second half of fiscal year 2018. The Atlanta location will utilize a new smaller prototype design." The announcement, made during the company's second quarter 2017 results release (Form 8-K) did not indicate a location, only that a lease had been signed. While other media stopped there and behind a paywall listed details anyone can find from a simple Google search, ToNeTo Atlanta dug deeper to determine where exactly the restaurant will open. The 9,600 square foot restaurant space, which will also feature a spacious 3,100 square foot patio along Hammond Drive, will, as the announcement indicated, test a smaller footprint for the upscale steakhouse. The Double Eagle Steakhouse concept is known to offer premium steaks at a premium price. The restaurant's Charlotte location, near SouthPark (Mall), offers cuts ranging from an 8 ounce Filet Mignon ($42.50) to the 32 oz. Wagyu Tomahawk Chop - Ribeye Long-Bone ($89). Check averages at the steakhouse reportedly average $100+. Del Frisco's currently operates thirteen Double Eagle Steakhouse locations across the country. The restaurants range in size from about 12,500 square feet to a staggering 24,000 square feet over three floors at Chicago's historic Esquire Theater. Atlanta's The Johnson Studio, now known as The Johnson Studio at Cooper Carry, designed both the Boston and New York locations of Del Frisco's Double Eagle Steakhouse. More recently, the firm designed Kaiser's Chophouse, a new restaurant from chef Peter Kaiser in collaboration with Kevin Rathbun. The restaurant, which opened in May, is located near the intersection of Hammond Drive and Roswell Road in Sandy Springs. Del Frisco's will open in the Perimeter/Dunwoody/Sandy Springs area at a time when there is a growing interest in both commercial and residential developments. In addition to the huge State Farm corporate campus that is expected to contain over two million square feet of office space, Mercedes-Benz plans to open their new 200,000 square foot U.S. headquarters on nearby Mercedes-Benz Drive (Barfield Road) early next year. 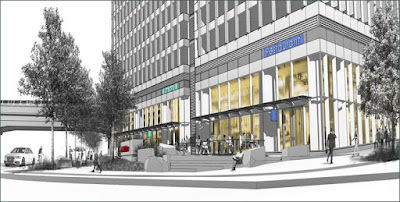 As ToNeTo Atlanta reported last month, Branch Properties is progressing with plans to redevelop a former bank across from Perimeter Mall into a mixed-use project containing about 50,000 square feet of retail and restaurant space and an approximately 200 room hotel. Darden Restaurant's The Capital Grille opened in place of Chicago's Lettuce Entertain You's Wildfire Restaurant in an outparcel of Perimeter Mall in 2012. 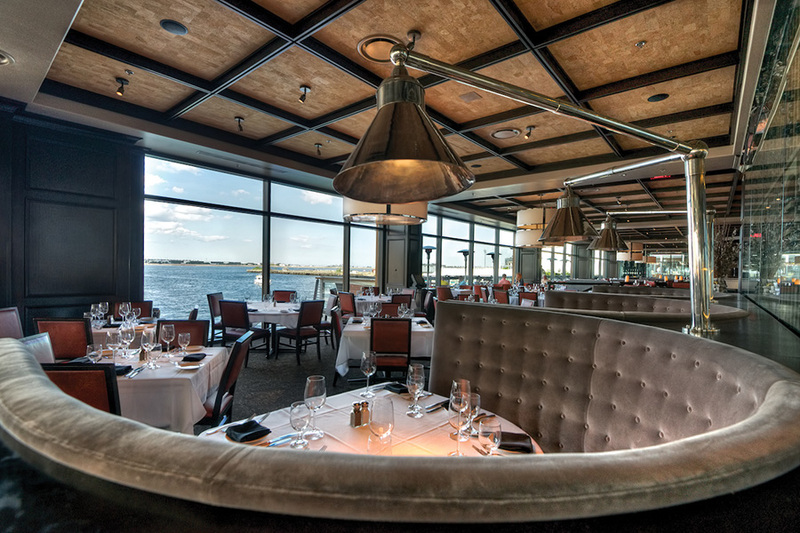 Nearby, Fleming's Prime Steakhouse & Wine Bar from Tampa based Bloomin' Brands, opened as part of the Perimeter Place development in 2006. Late last year, Fogo de Chão, a Brazilian churrascaria, opened at the new Spruill Center Development on Ashford Dunwoody Road near Walmart. All of of these restaurants are in competition not only with each other but also with local mainstays McKendrick's Steak House, located in Park Place on Ashford Dunwoody Road across from Perimeter Mall, in business since 1995, and Joey D's Oak Room, located on Crown Pointe Parkway at Perimeter Center West, established in 1990. Del Frisco's Grille, the chain's more moderately priced concept, entered the Atlanta market in 2012 with a location in Buckhead. The two-story restaurant, on Peachtree Road near Lenox Square, replaced the short-lived craft and craftbar restaurants, both concepts from celebrity chef Tom Colicchio. While the Del Frisco's Grille in Buckhead has performed quite well, the chain has struggled in other markets with locations in Palm Beach, Florida and Phoenix, Arizona both closed in late 2015. A second local Del Frisco's Grille was said to be coming to the new Hanover Shoppes at Perimeter Town at the intersection of Hammond Drive and Peachtree Dunwoody Road, but sources say the restaurant is no longer involved in the project. The Company has reportedly pivoted in their planning, now seeing the Double Eagle concept as their primary growth vehicle, rather than the Grille concept. As ToNeTo Atlanta exclusively reported in April, College Station, Texas based Grub Burger Bar plans to open in the Hanover project. The burger joint, the chain's fourth in Georgia, is expected to open later this fall. Are you excited for the addition of another steakhouse option in Dunwoody? Have you ever been to Del Frisco's Double Eagle Steakhouse? Where is your favorite OTP steakhouse? Walking distance to the Marriott as well that will start a huge renovation on the exterior next year. Great location (chequers always did well) but I've always had exceptional service and pretty good steak at Flemmings for a lot less than $89. I work in the State Farm building so I hope this restaurant will be open during lunch time. State Farm is building 2 more buildings across the street so there will certainly be people ready to eat there during lunch time. But are you really going to pay those prices for a lunch? Not many and not often, I would predict. Nice add to the development and Perimeter though. @RayAtL Not everyday but yes I can afford to do so & I'm going to assume that they will have a lunch menu. Ray: The cost of my State Farm insurance is high, therefore I suspect their executive's will enjoy lunch at Del Frisco's and still be able to pay their mortgages and retire in style. Atlantans like their high end steakhouses! If I'm going high end in Perimeter, I'll stick with locally owned (& a place where I've never had anything less than a fantastic meal) McKendricks. If I'm going chain in that area, it'll be Fogo or Capital Grille. I've been to the regular Del Friscos twice and will not be back again. Bad service and I found the food mediocre. I'm sure Double Eagle will do just fine, but I think there are better options all over the city including walking distance away! I suppose that means that Chequers won't be reopening there, as had been rumored at one point. I'm a little surprised that Dunwoody has the capacity for another prime steakhouse. Cap Grille there seems a cut below most others, and I assumed that was just due to the difficulty in operating that style restaurant in that area. As for lunch at DF, lunch menus at those places aren't too bad. I used to love Chops for lunch. I wish I had Greenwave's job/income if she works in that building and can still afford to eat lunch at an upscale steakhouse occasionally!